The scheme itself comprises an extension to and the refurbishment and revival of the C19th Grade II listed Mechanics' Institute. 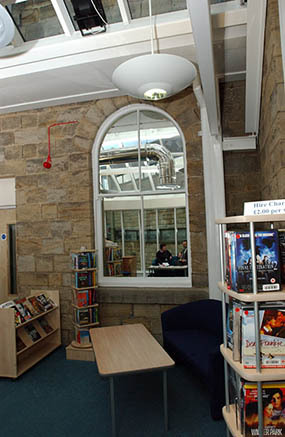 The library provides Horsforth town and surrounding areas with a community facility that meets the leisure and learning needs of our society, both now and in the future. 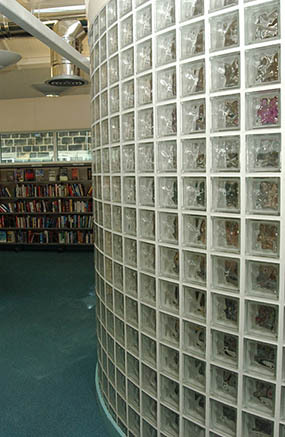 The facility accommodates a greater collection of books, a state-of-the-art IT suite, 'quick book browse' racks, comfortable seating areas and public toilets. 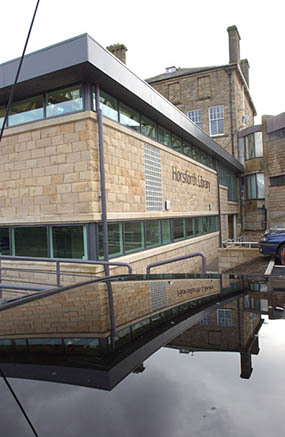 The building also houses the Town Council, Mechanics' Institute Ball Room and the Historic Horsforth Collection. 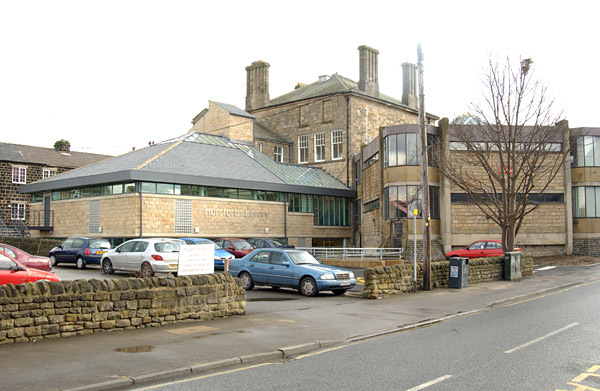 - to enhance the town's streetscape as part of a regeneration project of the town, replacing an overgrown, undervalued site with an attractive, functional building. 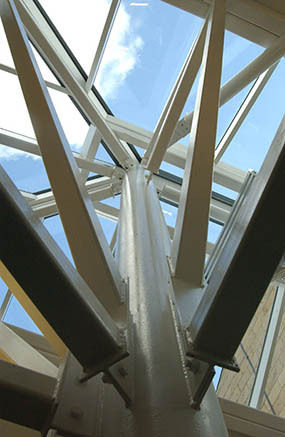 - to create a new focal point at the heart of the town. 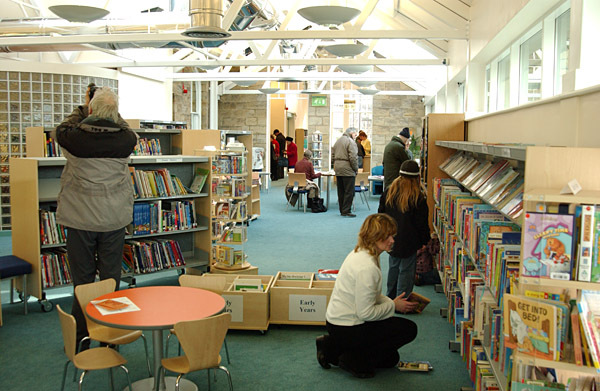 - to improve the library, technology and community facilities available. 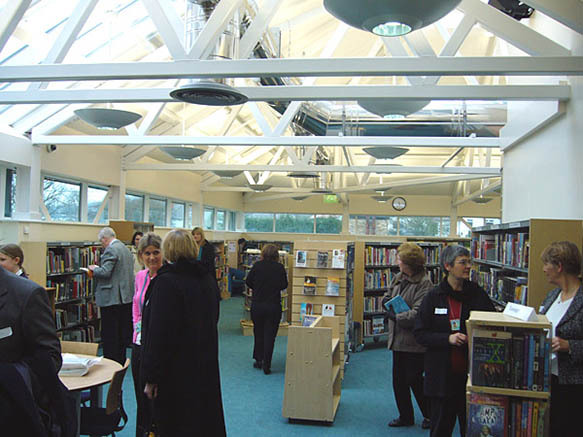 - to replace the existing library that no longer complied with DDA and Health and Safety regulations. - to maintain and enhance the Mechanics' Institute, bringing it back from the 'brink' to be used once again by the community. A comprehensive design was developed to ensure that the structure, appearance and functions of the building worked in harmony to deliver all the requirements of the project. This was realized by the design, client and construction teams working closely together on the development of the scheme through the design and construction stages to achieve a high quality finish. Specific sections were also developed with another commission progressing at the same time to attain the high level of detailed development established by the office and demanded by the Client. The new extension comprises a glass link to provide a distinctive transition between old and new, whilst emphasising the character of the listed building. With the natural topography of the site, the construction of a partially exposed lower-ground floor creates the impression of the lightweight structure floating against the static, Victorian mass of the Mechanics' Institute. The contemporary design clearly separates itself from the listed building; however, a carefully chosen palette of materials ensures a physical and emotional connection of the two structures. The materials include locally sourced stone cladding and natural slate roof with an agreeable pitch, all encasing an internally-exposed steel frame. The external facades of both the extension and the Mechanics' Institute are lit to enhance the mood and presence of the building, which can be observed with particular effect at night.